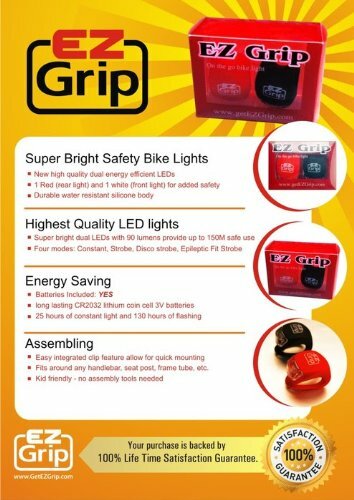 August 1, 2014 Unsure "Adult"
… & So Is Another Review–EZ Grip Bike Light Review. This summer we have been blessed with spending a lot of time outside. However, with these ridiculous temperatures, we have been going out later in the evening or earlier in the morning, in order to find some bearable temperatures. 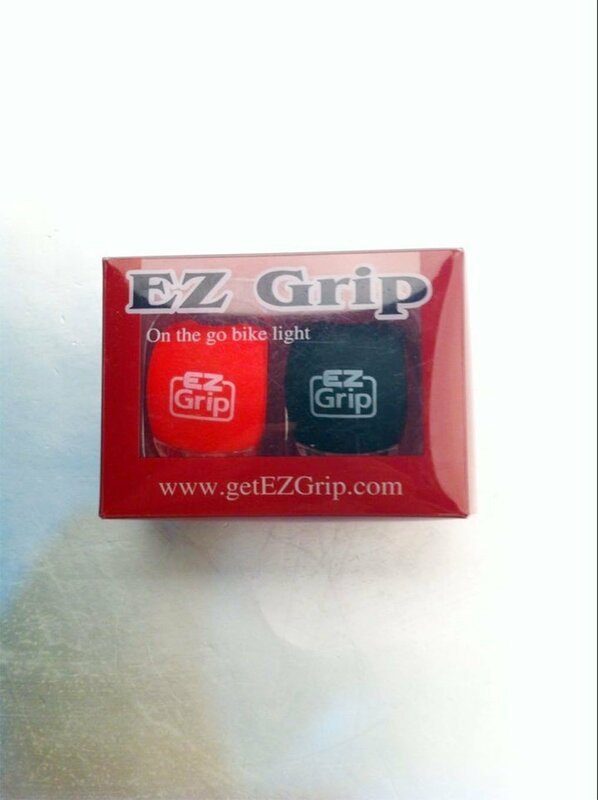 We got the EZ Grip Bike Lights. When we first got them in the mail, Z was super grumpy so I pulled them out and expected to have to put in some sort of batteries or something, but I was able to simply pop them out of the packaging and click it. The on switch as super easy! No weird knob that you have to rotate or anything, just a simple push of the finger and you can turn them on. Not only that, but they have THREE–that’s right THREE different speeds–that I found out completely on accident. You can have a solid light, a quick strobe or a slower strobe–all with the push of the button. One more push and it’s off. You get a white light for the front, to see where you are going too—and a red light for the back. They are amazing! They would work on any type of stroller, tricycle or bike you need. The easy to attach lights are amazing! Simple remove the loop from the hook, wrap it around the bar and fasten. It’s like using a rubberband and hook. Looking forward to spending more time outdoors and feeling safer. Who’s up for some outdoor time with us? !